I have just spent some time with a resident who lives at Barrington’s Court in Southend. Resident X was deeply concerned about the parking situation where he lives. Every resident living in Barrington Court is allocated a parking space. However the residents are having to fight for their space as non-residents park there. They leave their cars parked in the resident’s spaces whilst they go off to work or shop in Southend, leaving the residents of Barringtons Court with no option to park outside in the road! Furthermore, there are just 2 disabled parking bays, whilst 8 residents would be deemed to require special disabled bays. This situation simply isn’t fair on the residents of Barrigntons Court. 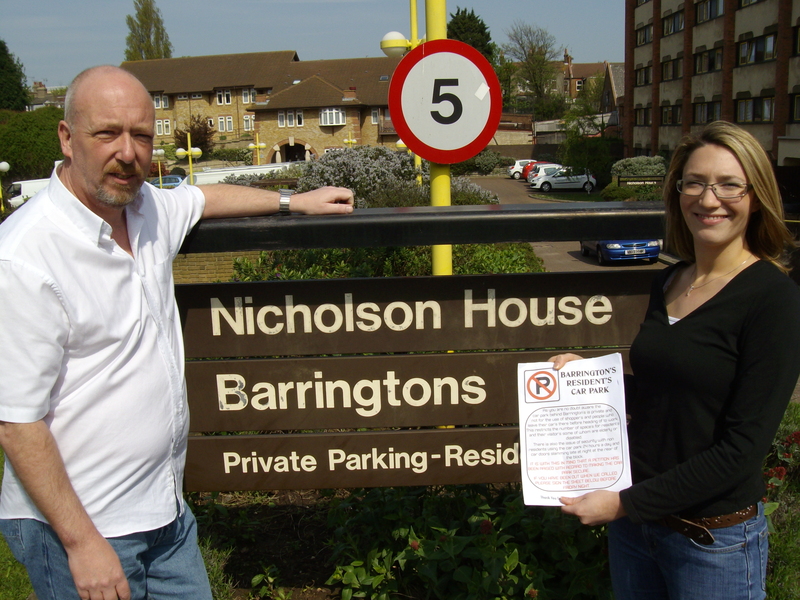 The Barringtons Court residents need some form of barrier which prevents members of the public having access to the parking bays. Other flats in Southend have this so it shouldn’t be a problem to resolve. Parking generally can be a problem in our town but residents should be able to park in their own designated parking bay. This is why I, with the aid of Resident X, will be putting together a petition to ask Southend Borough Council to look into this issue.